Chrono Trigger is a game that frequently rates towards if not at the top of the best rpgs of all time if not best games of all time. This fact isn’t surprising when one realizes that Chrono Trigger was actually made to be an amazing game. This might seem obvious as in all games are made to be awesome. Squaresoft (now Square Enix) put together a team of very experienced talent they deemed the “dream team” and had them make a game. That game is Chrono Trigger. For those top lists, it’s not surprising that this game lists there especially when paired with nostalgia. For many people writing about games now, this fell into the time when they were growing up and deciding what the standard and best games were. But I’m different. I actually didn’t start playing JRPGs at all until the PlayStation (Final Fantasy VIII to be specific). So for me, this was playing a new game which not only needed to still hold up, but prove to me that it really is one of if not the best JRPG ever created. And in the end, it did. Well… mostly. Chrono Trigger is not a perfect game. That’s not surprising when one considers that the best games will try new ideas and not all are great. 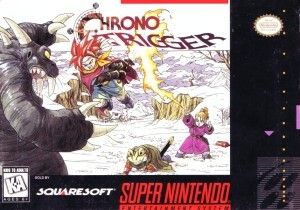 Chrono Trigger is no exception for either new ideas or not that great. 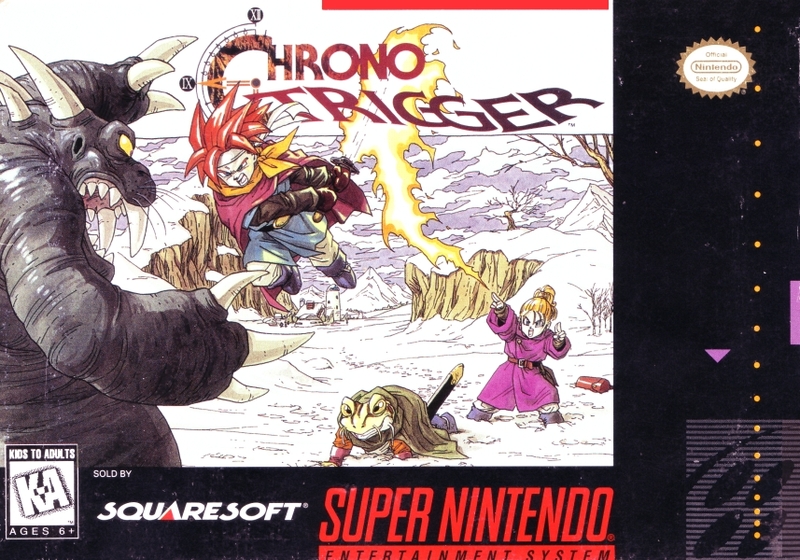 Chrono Trigger’s great foray into different territory is a series of action sequences. I hesitate to call this idea new as may much older point-and-click adventure games would have forced arcade sequences as well with a similar result. The sections don’t fit in the game and frequently aren’t fun. Worse is that they are required to progress the story. On the bright side, they tend to be short and not exceptionally difficult (though having to race around a series of catwalks and avoid cutting any corners was pretty bad). They are also rather infrequent. I’m pretty sure these can be seen as a precursor to many side tasks that did become more popular such as fishing, but the future had much better ideas especially not making them required. Another unique idea that even the game gives up on has to do with positional attacks. This may sound like it involves tactics, but it really doesn’t. If the monsters are in a line or close together or the like, some attacks might be able to hit multiple enemies. They spend a fair amount of a tutorial explaining all the different ways this might come up, but I generally only noticed anything positional on a couple attacks that I quickly grew out of. In theory it is a nice added idea, but the consistency of attacking one or all enemies along with other attacks just being more effective makes this a waste. Luckily it really doesn’t get in the way. On a purely technical limitation that wouldn’t be fixed for years, there are plenty of ways, especially when side questing, to forget exactly what you were supposed to be doing. When trying to solve puzzles that can involve the repercussions of (or exploiting) time travel, this ability to review information would be nice. But side questing is actually something that Chrono Trigger generally isn’t good at. There is a point in the game where the game itself essentially tells you that side quests are available. Before that point the game is strictly linear (barring exploring for extra goodies or enemies). The side quests can then take you more or less away from the overall story for a few real world hours while you play through them. They do relate to the story (some better than others), but they are only minimally additive to the world or story. They are still fun to play through though; the fact that the story is on hold for them makes it drag. Though the end of the game in general seems to run out of story-steam. The ending, if you play through all of the game, is a bit weak in my opinion. The dungeons start to just drag on and the story really does feel like it stops when side quests start until you get your ending to the game. Though the combat can still be fun and rewarding, there is very little else that keeps you playing (past how much time you already invested). And that combat is not something you have much control over. 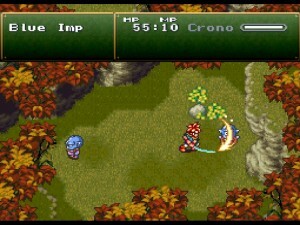 What I mean is that Chrono Trigger is extremely different in how battles occur. They always start at the same point on a map with the same enemies. Generally I do like this approach, but I also admit that it gives the player much less control of feeling ready for really any point in the game. If something is hard, you, usually, can technically leave and re-enter areas to get more battles, but this is much more cumbersome than just running in circles to get what you want from the battles. Other than the story ending, you might think those complaints are pretty nit-picky. And I would honestly agree. The other parts of the game tend to range from good to great, but there are still some shining examples that stuck with me. 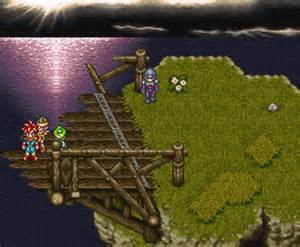 The biggest area that Chrono Trigger is amazing has to do with balancing its world for pacing very soon after the game starts until the side quests open up at the end. Pacing is a fairly general term when we think about games since a lot of components will affect this. 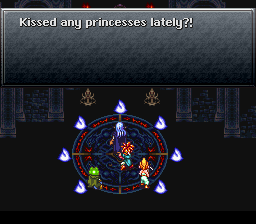 Chrono Trigger manages to balance basically all of these. The story is revealed more slowly and in parts. The trope of saving the world doesn’t even come up for hours. Instead you are guided around a fairly constrained world with immediate goals to drive you. Characters are introduced and frequently provided with a back story through multiple brief conversations so you are never bogged down. As you go through, there are of course battles, but they resolve quickly. Because the battles only trigger at set points, you also don’t have to worry about slogging through an excess of battles as you look around. And I never found myself looking for any more or fewer battles. For me, this allows the story to be front and center through the game. There are times that are legitimately emotional that come off with impact while still overall keeping the tone light. Even if you forget what you were supposed to do, the limited amount of people and constrained world mean that literally talking to everyone until you determine what you should be doing or just wandering around until you stumble upon it won’t take too much time. The game really is largely set up to encourage progress. Characters are introduced with plenty of time between for each to feel like a separate and full character. Never did I feel there was a character that I hated to need in my party nor was any character absolutely needed. They all play well together with subtle differences (magic and techniques being the biggest differentiators), and every combination feels like it could work if you made the effort. The boss fights you encounter feel like they are a part of the story that makes sense and largely rewards using a strategy and reacting to the boss. Some later on do require you, effectively, to have proper armor to deal with their element, but these bosses are in the minority. The final boss battle especially I feel rewards you for understanding the boss’s pattern and executing as you would like. With this being a game involving time travel, it is nice to see them take the most of it especially with some side quest puzzles. They can be a bit annoying to solve since there are so many possibilities, but there is a good amount of satisfaction when you manipulate time to serve your needs. This even comes up in the various endings. As there are things you don’t actually have to do before defeating the final boss, the end of the game will reflect what was left undone. I find this neat, but also a bit lame that the ending you get for getting the most out of your playthrough is the most boring. 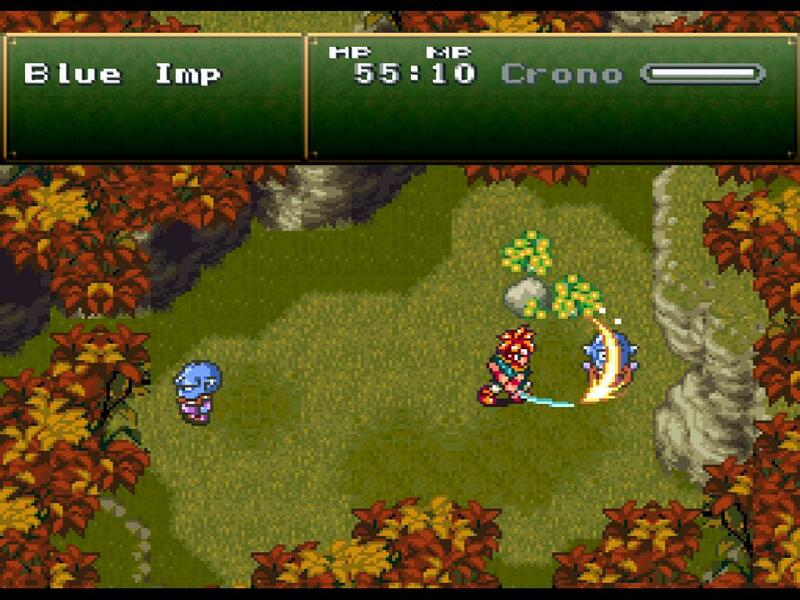 Chrono Trigger is not just for those looking for a nostalgia trip. It is a great JRPG whose mechanics and story hold up well. Though not perfect, it is still a shining example of a fun game without needing the technical wow-factor that has become the norm. With a fun and good story and mechanics that flow very nicely, the flaws are forgiven and the game still carries a large recommendation.